Garganega is this week’s grape variety hails from the Veneto region. Garganega is the principal grape used to make Soave, an Italian white wine that we are all familiar with in the United States. According to DNA studies, it is related to Grecanico which is a grape variety widely used in Sicily. Garganega is able to produce a host of wines whether they are dry or sweet, such as the Recioto di Soave version. The grape has moderate acidity and lovely fruit and floral aromas. It often has a slight almond taste on the finish as well. Hard to pronounce, Garganega is not listed generally on the Soave label but at least 70% of all Soave must be Garganega. The other 30% can be Trebbiano, Pinot Bianco, Chardonnay. Garganega is a vigorous grape variety and in the past was used to make mass market wines. That trend has completely changed and the grape is now used to make elegant, age worthy wines. Many producers are worthy of note. 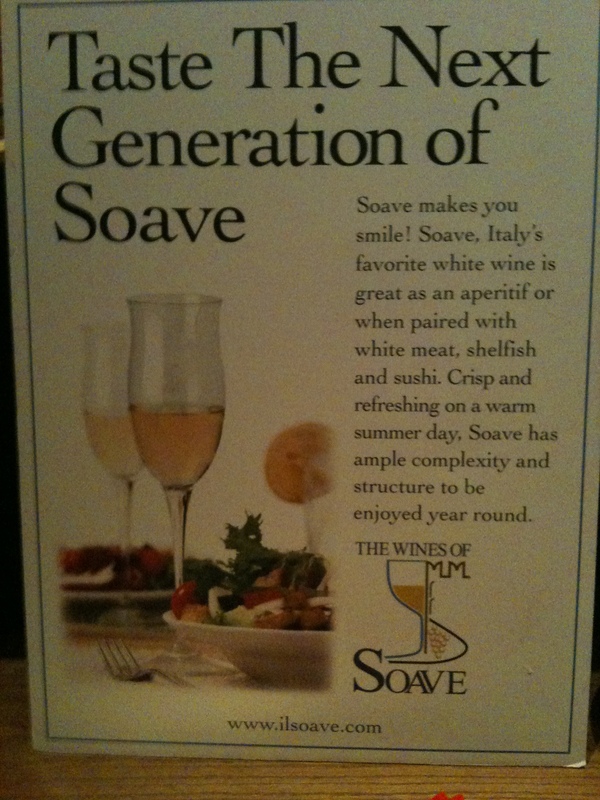 Eric Asimov of the New York Times wrote this piece earlier this year on Soave. I’m very partial to the ones that can age such as those made by Antonio Fattori of Fattori Wines. I had the opportunity to try wines from this region last week at a Wines from the Veneto (Uvive) event. If you live in New York or Chicago, you too can taste versions of Garganega at Eataly.